Named after the 20-mile river that flows beside it, Mianus River Park is situated between Stamford and Greenwich, Connecticut, and features over 400 acres of forests, wetlands, rock formations, and gardens that are just waiting to be explored. This historic State Park is a beloved destination for outdoor enthusiasts and attracts everyone from joggers and hikers to mountain bikers and fishermen. Open throughout the year, guests can visit the park and enjoy a wide variety of recreational activities – and it’s all just a 10-minute drive from the Stanton House Inn! Here are some of our favorite things to do at Mianus River Park. From rugged routes to easy strolls, there are miles of beautiful hiking trails in Mianus River Park. 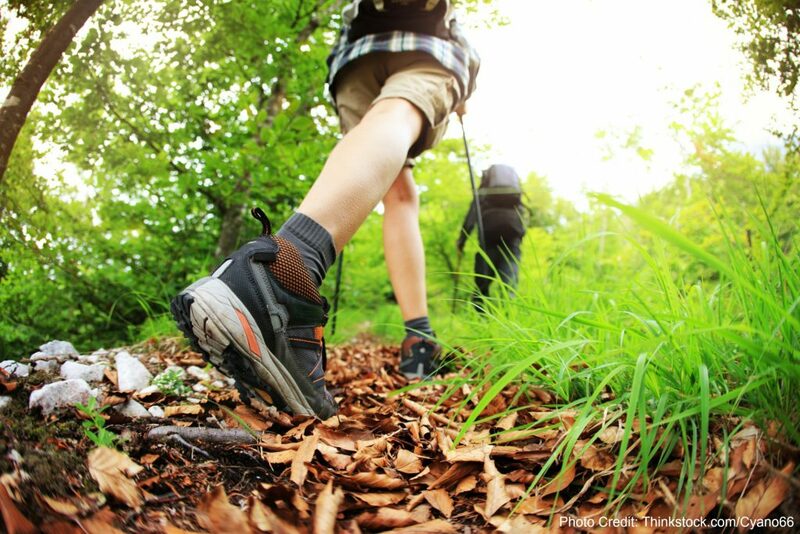 Guests can even explore a nature trail that features 13 points of interest over the course of 2.5 miles. There are also a variety of mountain bike trails and interconnected loops located throughout the park, where cyclists can wind past rock outcroppings, skirt the edge of the river, and enjoy the area’s spectacular scenery. Be sure to download a printable trail map to bring with you on your journey. If you’re an avid angler, you’re in luck! Fishing is allowed year-round in Mianus River Park, and the river is stocked with thousands of trout in the spring and fall. The Mianus River is also known for its “early black stonefly hatch” in late March, when aquatic insects hatch from the river and fly into the trees to mate. When the females return to the water to lay their eggs, the trout are waiting just beneath the water’s surface – and the fisherman are waiting right above it! Guests should be aware that fishing is catch and release only from September through April, and visitors are allowed to keep a maximum of two trout per day throughout the rest of the year. Treetops is a parcel of land located immediately south of the Mianus River Park and is the former estate of singer and actress Libby Holman. During the 1930s, Holman purchased 55 acres of land and built a spectacular neo-Georgian mansion, creating the estate locally known as Treetops. In love with the natural beauty of the area, Holman also purchased adjacent parcels and eventually expanding the estate to 110 acres. Over the years she planted tens of thousands of daffodils, hosted lavish parties, and created a rich legacy that lives on today. A trip to Mianus River State Park is a wonderful way to spend a day, and our beautiful Greenwich bed and breakfast is the perfect place to come home to! Enjoy a peaceful nights sleep in one of our comfortable rooms or suites, then join us for breakfast the next morning and tell us all about your adventures. We can’t wait to hear about what you discover on your next getaway! To learn more about the best parks in Greenwich, including the Mianus River Gorge, request a copy of our free vacation guide.